This 5 watt LED globe is a great economical solution to simply replace your halogen globes. It has a warm white colour equivalent to a 35 watt halogen globe and a 38 degree beam angle. It is perfect for hallways, passages, powder rooms and alcove areas where high brightness is not required. Powered by EPISTAR, a global leader in LED technology - you can be assured of high quality LED chips. Imagine the savings from the 80%+ reduction in energy usage! Its GU10 connection can be simply plugged into your existing 240 volt halogen fitting. Replaces standard Downlights, Exchanging your old halogen bulbs to upgrade to the benefit of LED is as simple as changing your light bulbs! The benefit of simply changing the bulb is you do not need an electrician, and it is less disruptive than changing the entire halogen light fitting to an LED light. Note: this globe is not designed to perform with a dimmer switch or other electrical components on the circuit. 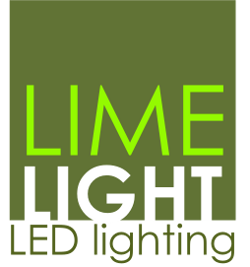 A global leader in LED technology. They are the largest manufacturer of light-emitting diodes (LEDs) in Taiwan, currently holding over 1000 patents. Epistar has been the producer of leading LED technology for a wide range of LED applications. Founded 13 years ago - Epistar has been responsible for new developments in ultra-high brightness and yellow LED chips, achieving higher brightness and improved accuracy across a wide range of colour temperature ranges. Life: Rated at 50,000 hours.